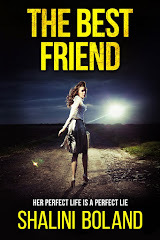 I first met Rebecca Hamilton on Authonomy, a writer's site run by Harper Collins. 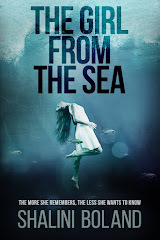 We chatted and bantered on the forums and then she gave me some very insightful advice on writing, specifically to do with a character's viewpoint, and how readers will often connect more fully with your protagonist if you write from inside their head and show events unfolding purely from their point of view. 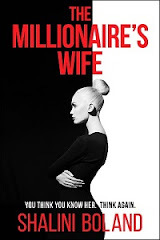 Out of the hundreds of excerpts I read on the site, Becca's is one of the one's which stuck out most vividly and I'm beyond excited to see her novel has finally been published. It's on my kindle to read asap! 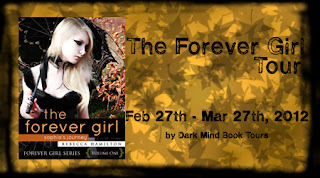 Rebecca has kindly agreed to give away an ebook copy of The Forever Girl to one lucky winner. 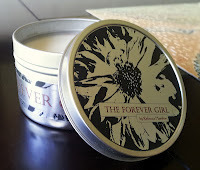 And if you live in the US, you'll also get this fantastic Forever Girl scented candle - gorgeous! All you have to do to win is leave your name in the comments box below. Sophia Parsons’ family has skeletons, but they aren’t in their graves... 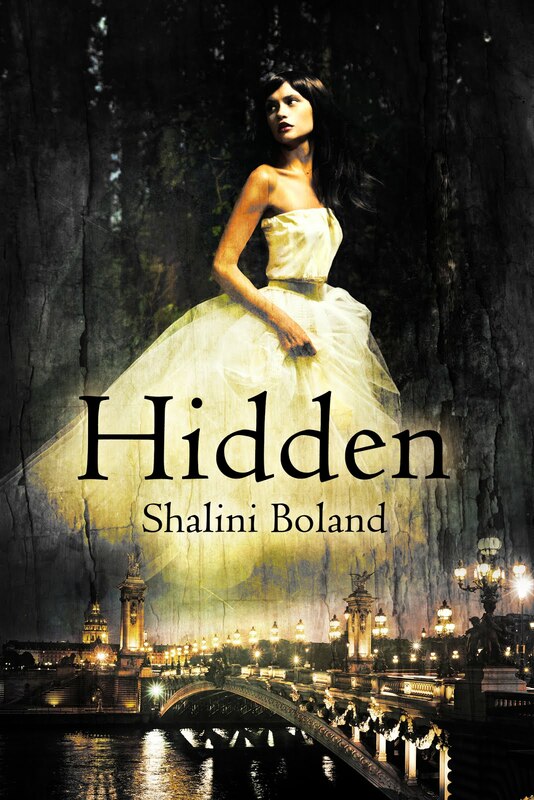 Solving the mystery of an ancestor’s hanging might silence the clashing whispers in Sophia's mind, but the cult in her town and the supernaturals who secretly reside there are determined to silence her first. 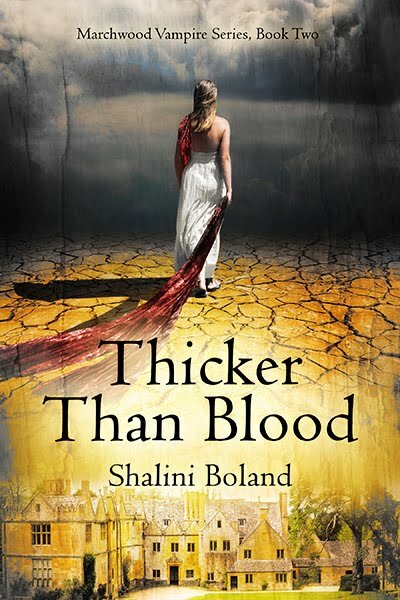 As Sophia unknowingly crosses the line into an elemental world full of vampire-like creatures, shapeshifters, and supernatural grim reapers, she meets Charles, a man who becomes both lover and ally. But can she trust him? It’s not until someone nearly kills Sophia that she realizes the only way to unveil the source of her family's curse: abandon her faith or abandon her humanity. If she wants to survive, she must accept her who she is, perform dark magic, and fight to the death for her freedom. I probably spend about 10% of my writing time actually writing. Writing is the easy part. All you have to do is follow your emotions, put your imagination to paper, and keep asking the ‘what if’ questions you’d never want to answer yourself in real life. Beyond that, there’s listening to your beta readers, rewriting, trading critique, re-writing, revising, editing, copy-editing, proofreading, deciding that it still needs another re-write, having to revise, edit, copy-edit, and proofread again. And on it goes, with not one of those steps being as easy as they sound to those who don’t know what each of those skills entail. Of course, we get all the help we can. Sometimes it’s free…other times, it only requires we sign over our life. Writing isn’t a job. Some can say they will sit at their desk from 9:00 to 5:00 and write—or work on any of the above mentioned writing activities. But writing is a lifestyle. You are working on your writing while you read. You’re working on it while you shower. 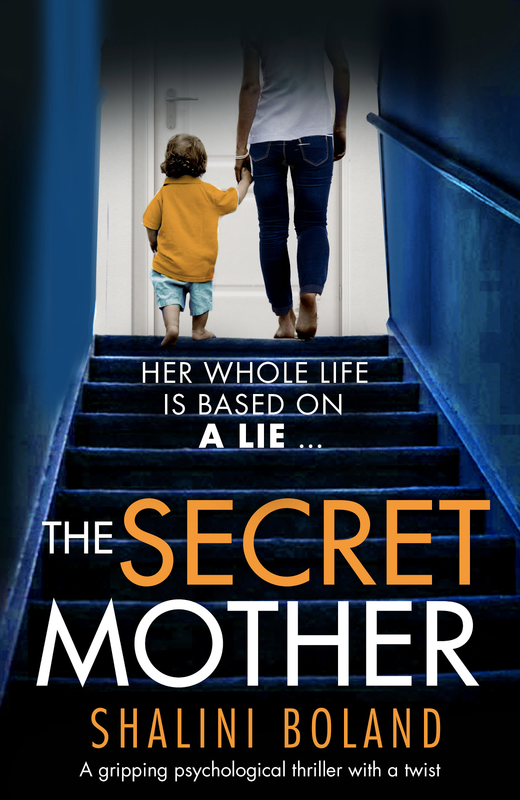 While you sleep, change a baby’s diaper, do the dishes…you’re writing. When you walk through a forest trail and you notice a large oak tree that looks completely out of place among a forest full of redwoods or when you notice the receptionist at your optometrist’s office is squinting to read her paperwork … you’re writing. Writing is just one of those things that, in my experience, consumes you. It becomes part of who you are. You live your life, same as before, but everything means more now. Everything is valuable. 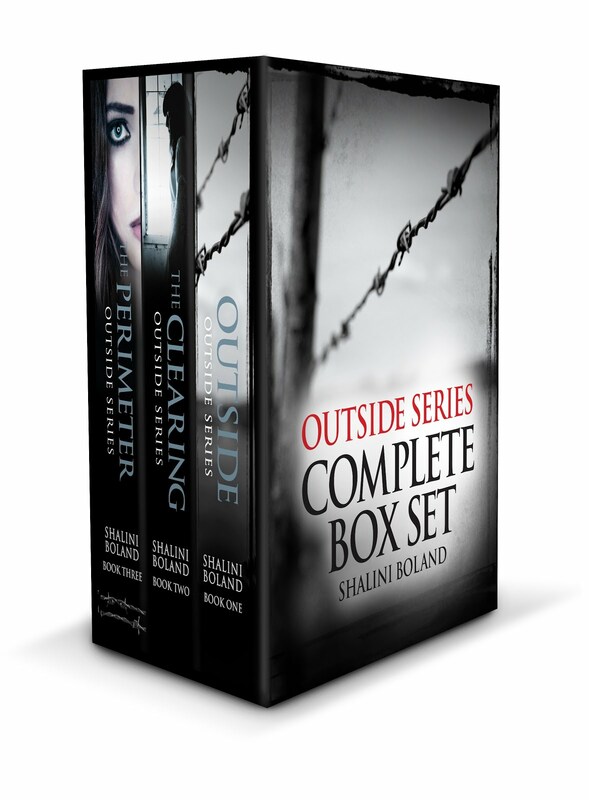 Writing becomes an outlet for life. Don't forget to leave your name in the comments box below if you'd like to win a copy of The Forever Girl and that gorgeous scented candle! I would be delighted to win the eBook--had me at the delightful title--The Forever Girl! Thanks for this giveaway and interview! Rebecca helped me with some edits a while back, and I'm so happy Forever Girl is making it out into the world! How right you are. Writing has eaten my sleep. Now, when I lay down my characters like to talk to me. When I'm out, I must look like a ditz because I'm lost in my thoughts. Scenes play in my head all the time. This is not a job, it's a lifestyle and an obsession. I don't write to be famous of for the money (though it would be nice.) I write because I can't not write. Something to think about there. I've never really counted noticing things as part of the writing process. This is all very true. Even though I haven't gotten more than a few words on paper for months, I'm going through life collecting things, even unconsciously, for later use. Once you write, you see the world differently. I really enjoyed "the receptionist at your optometrist’s office is squinting to read her paperwork." Have you actually seen this? Now I want to know the story behind why she doesn't get her eyes check out. Thanks for more great stops on this tour, and thank you Shalini for bringing Rebecca to us. Truer words have never been spoken! Writing is a lifestyle. I could never consider this a job. As Noree said, I don't do this for money either...though if I made some that would be great. I do this because i don't remember ever wanting to be of do anything else. It is a part of who I am and not just what I want to do. One day I was at the store with my wife, just before Halloween and I saw the fake blackbirds that were with the Halloween decorations. Just seeing those blackbirds sent me into a story (which my wife had to hear about for the next hour, lucky her). Storytelling is soooo much a part of my life. Thanks Shalini for a great interview. Thanks Rebecca for being transparent. This a great stop on the tour! I'd love to win!! Thanks for the giveaway. Janelle, thank you so much for commenting :) You really summed it up so beautifully. You wear your writer's heart on your sleeve. I love that! Rebecca Hamilton has created a whole new take on the vampire (and other critter) genre. Her mythos is intricate and completely original in my experience, but remains easily accessible. As the reader discovers this new world alongside Sophie (the protagonist), they are skillfully eased into the experience. Layer upon layer, the world is built for us as we are lead deeper into its labyrinthine paths.